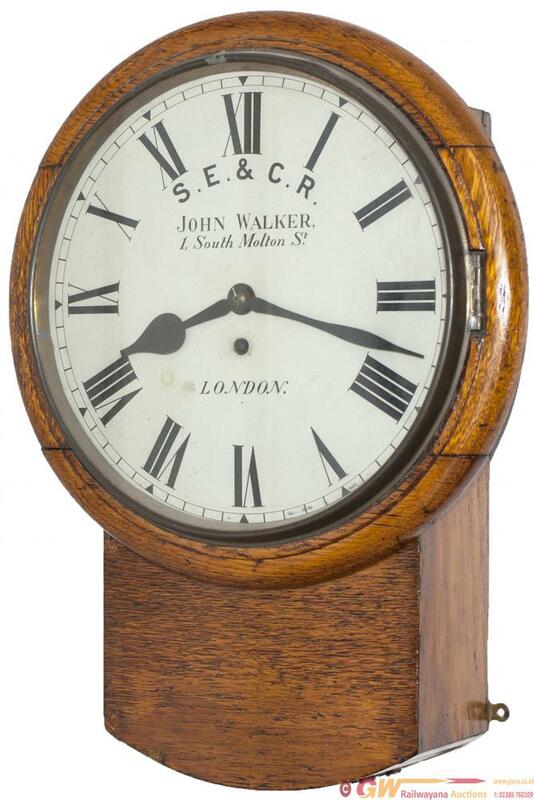 South Eastern & Chatham Railway 12in dial oak cased drop dial railway clock with a chain driven English fusee movement stamped in the back J.SMITH & SONS CLERKENWELL 1916. The dial and case have been restored a long time ago. In working condition and complete with pendulum stamped 1663 and key. The Southern Railway records show this clock as last being in use at Eastleigh Portable Plant Depot and previously at Dartford Inspectors Office.